The Battle of Okeechobee Reenactment from Into Nature Films on Vimeo. 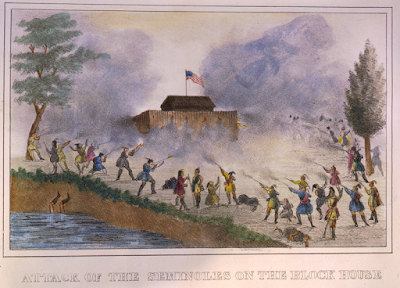 The Battle of Lake Okeechobee was one of the major battles of the Second Seminole War. It was fought between 800 troops of the 1st, 4th, and 6th Infantry Regiments and 132 Missouri Volunteers (under the command of Colonel Zachary Taylor), and between 380 and 480 Seminoles led by Billy Bowlegs, Abiaca, and Alligator on 25 December 1837. 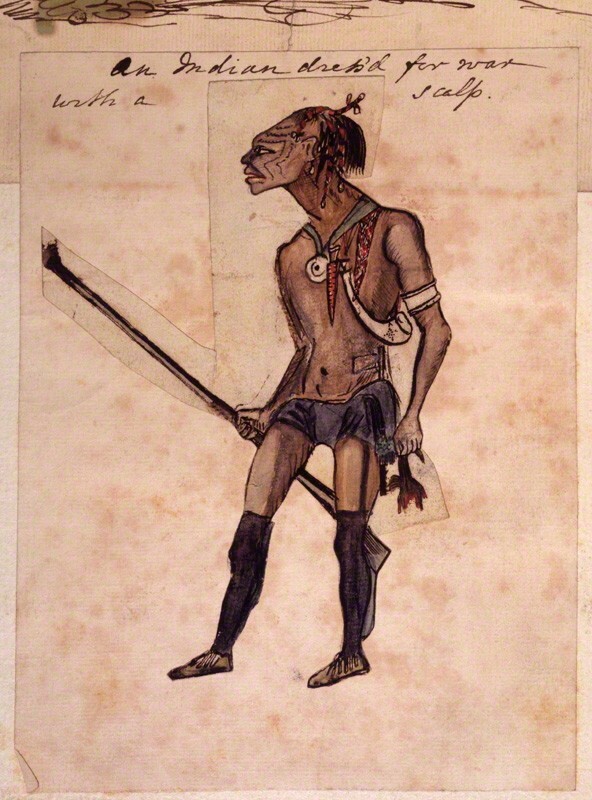 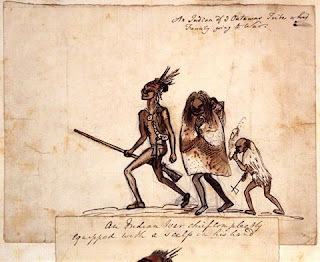 The Seminole warriors were resisting forced relocation to a reservation out west. 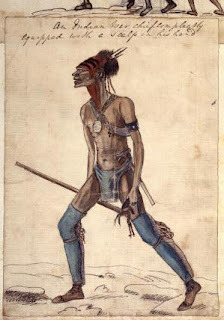 Though both the Seminoles and Taylor's troops emerged from the battle claiming victory, Taylor was promoted to the rank of Brigadier General as a result, and his nickname of "Old Rough and Ready" came mostly due to this battle. 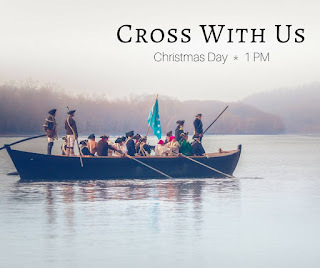 Don't forget: George and his troops cross the Delaware at 1 PM on Christmas Day. 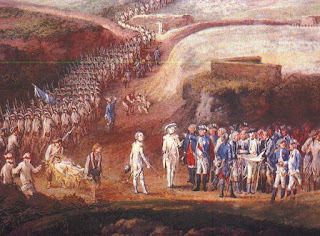 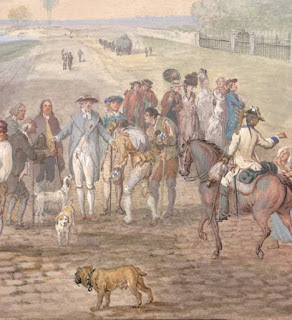 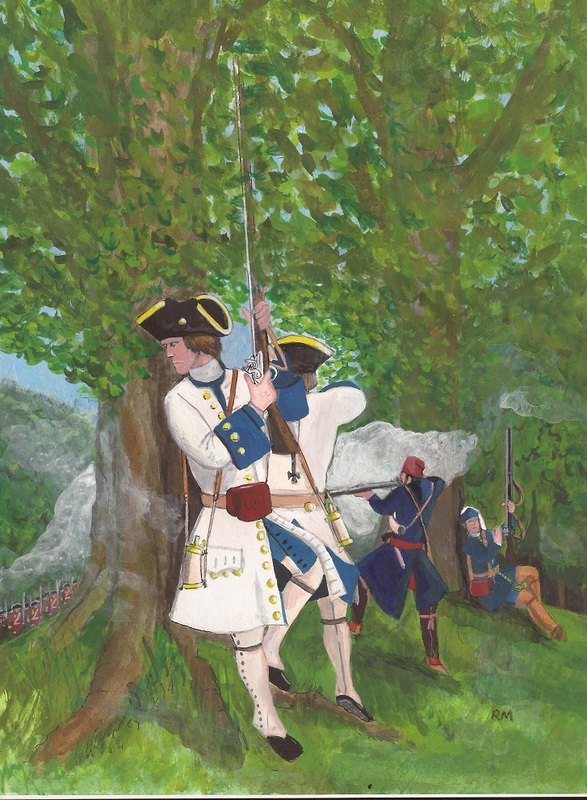 'Fort Ticonderoga is thrilled to announce the recent acquisition of an important painting of the French military on campaign from the mid-18th century. 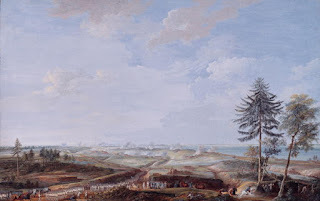 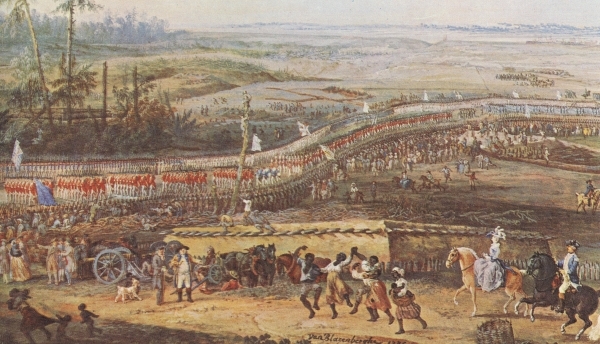 The work depicts a French regiment camped in hilly terrain of the Italian Piedmont during the final campaigns of the 1740-1748 War of Austrian Succession. 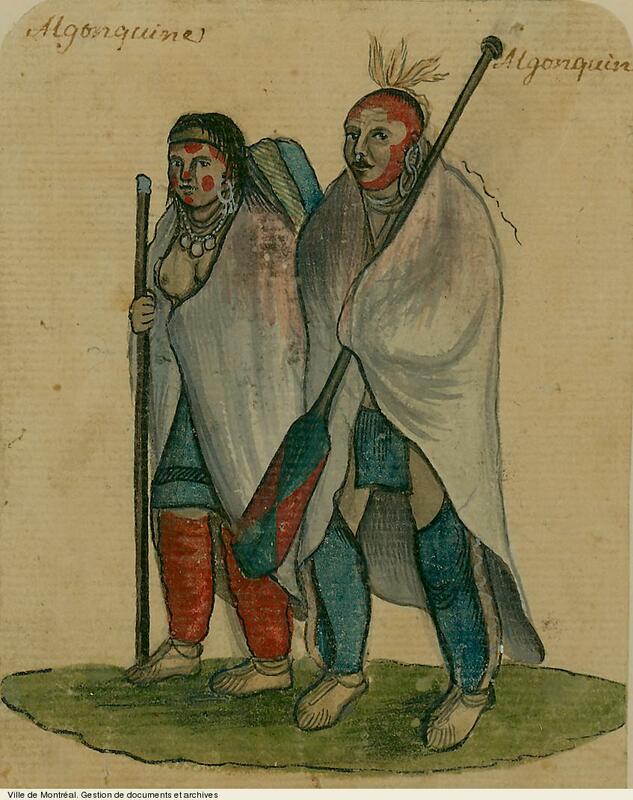 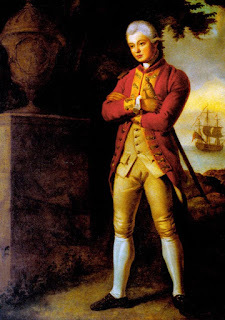 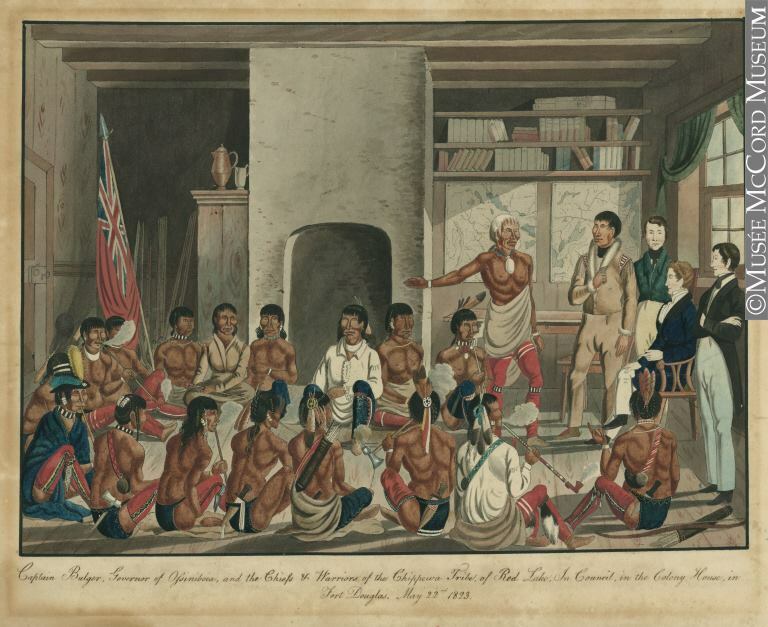 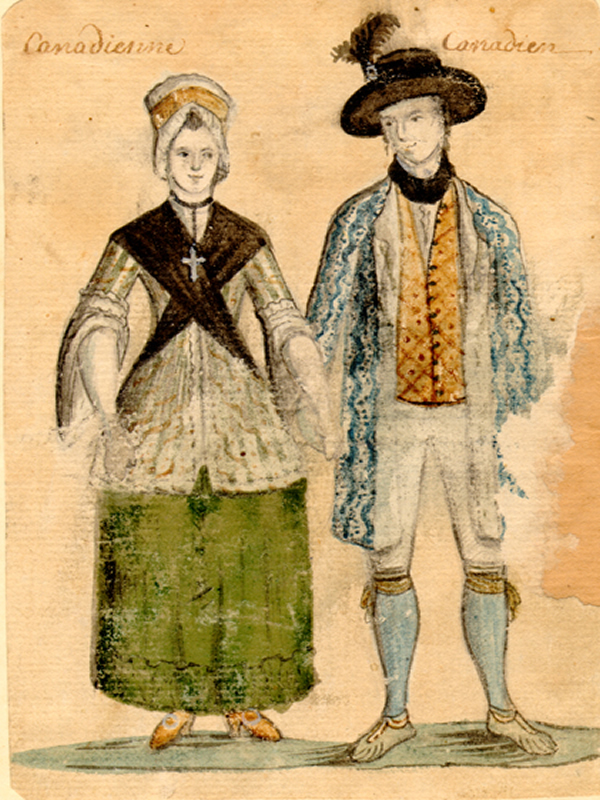 This painting is an internationally significant addition to the museum’s collection and an important document of military and material culture during the Ancient Regime with a direct connection to the French soldiers that built and served at Fort Carillon (later named Ticonderoga) during the French and Indian War (1754-1763). These images are from the late 9s and feature the 36rh. 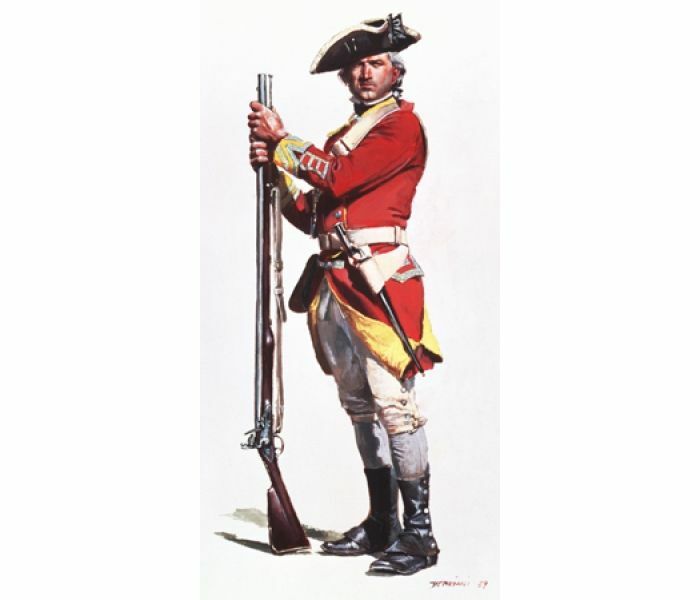 The 36th regiment was not in service in America in the SYW but that didn't stop them reenacting as a generic redcoat unit. Not sure of the date of this - anyone know? 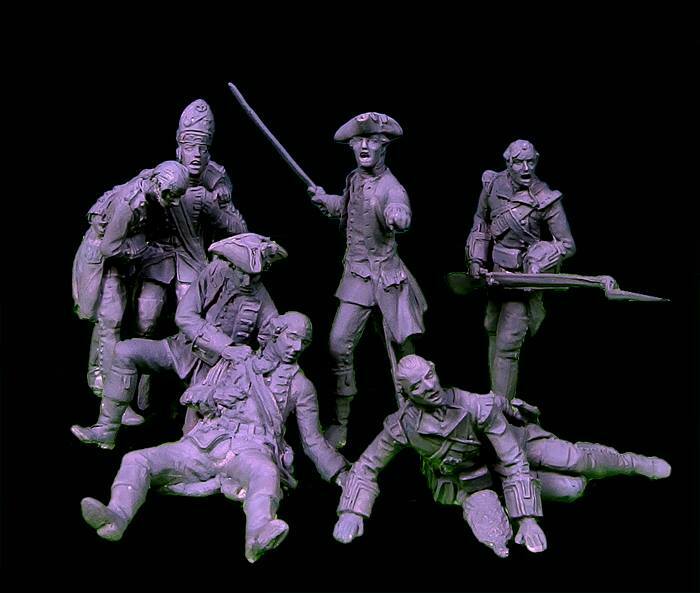 This is a great page with lots of photos of GM figures and so on. 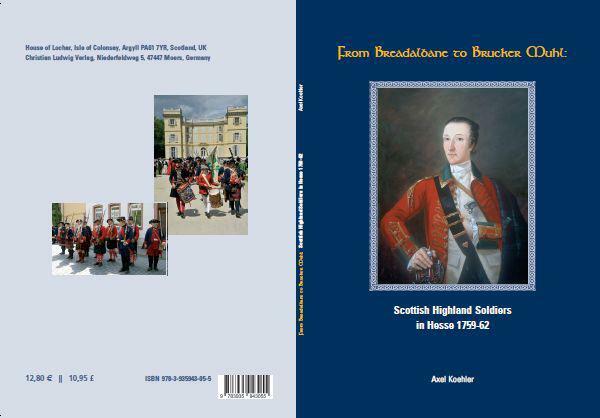 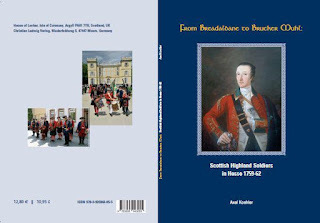 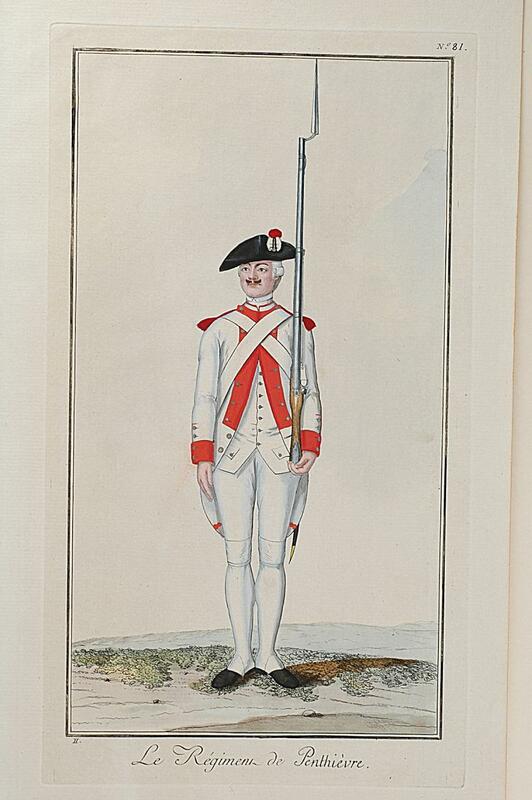 A place for information about British soldiers who served during the American Revolution, 1775-1783. 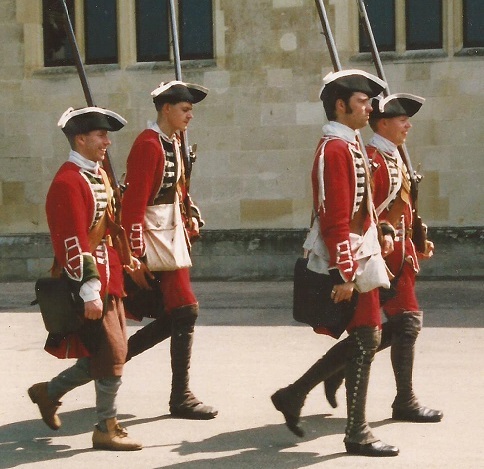 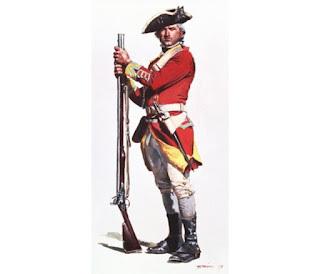 Thousands of soldiers wore red coats, but little is known about them as individuals. 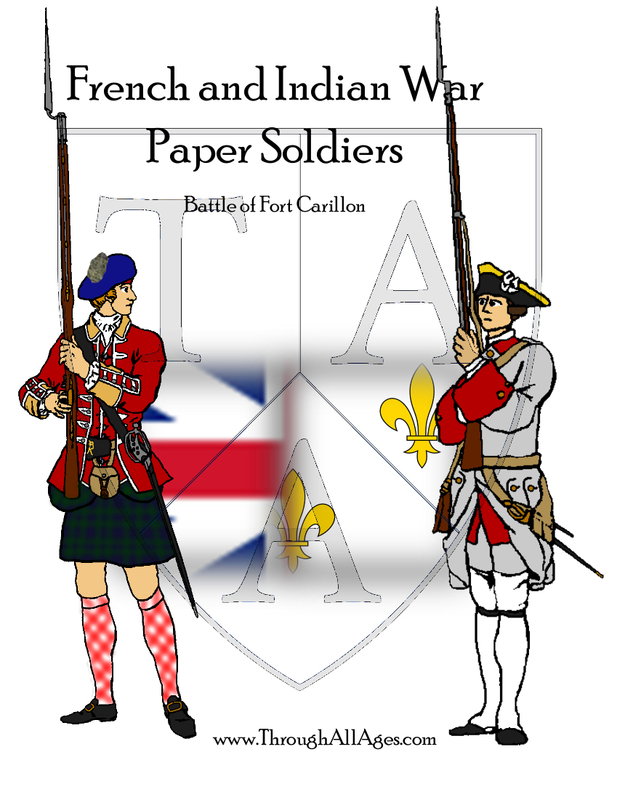 This site will change that, soldier by soldier. 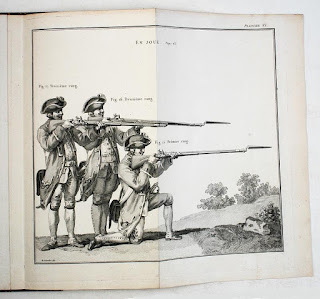 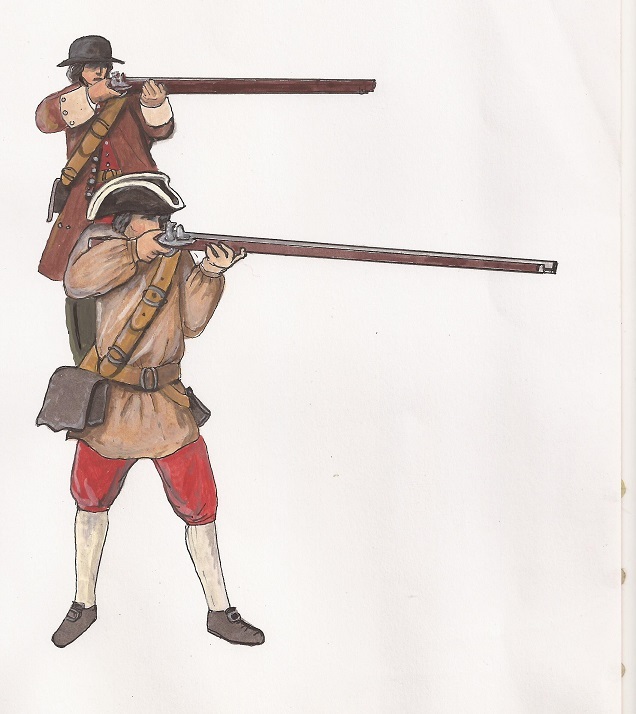 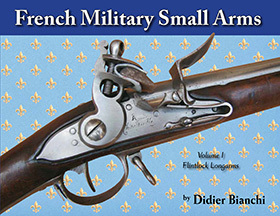 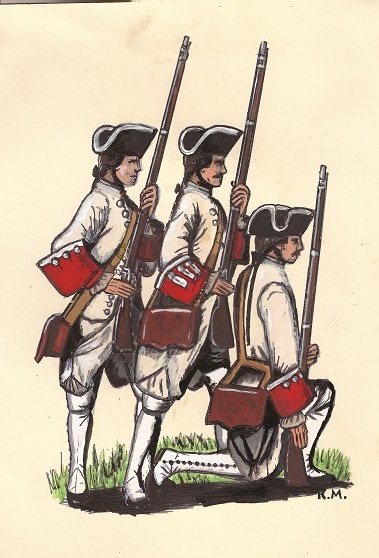 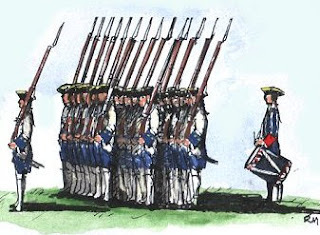 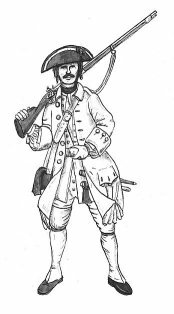 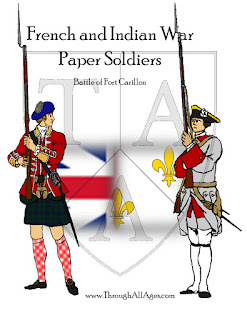 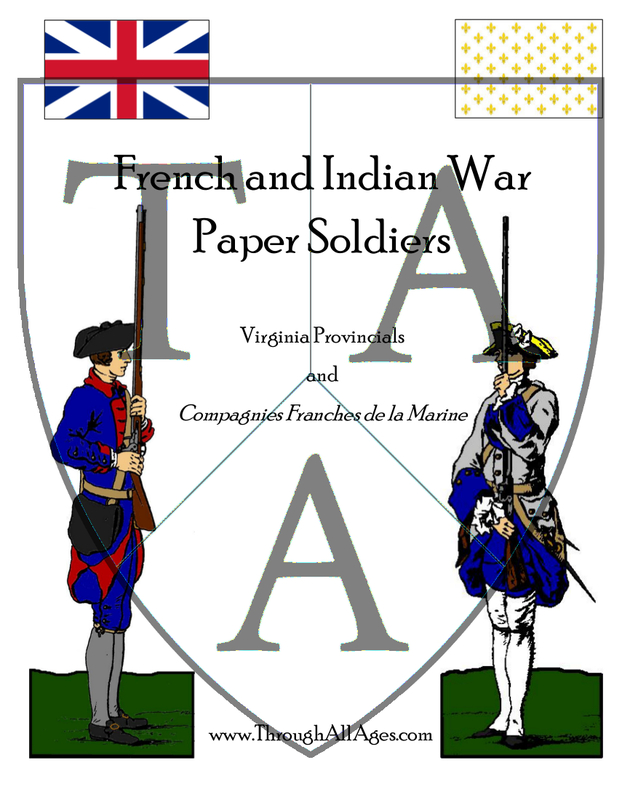 FRENCH MILITARY SMALL ARMS VOLUME 1: FLINTLOCK LONGARMS. 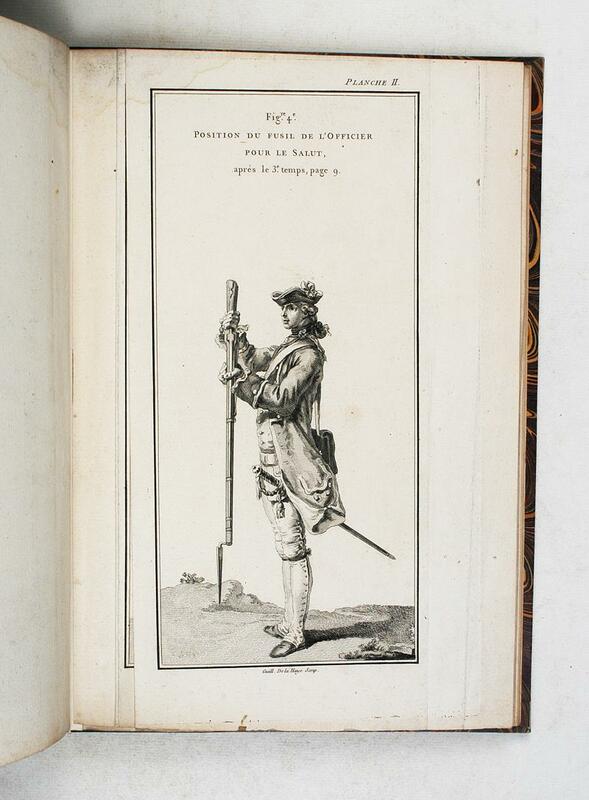 134pp., landscape 4to, fully illus.throughout with detailed colour photos., P.B. 2015. 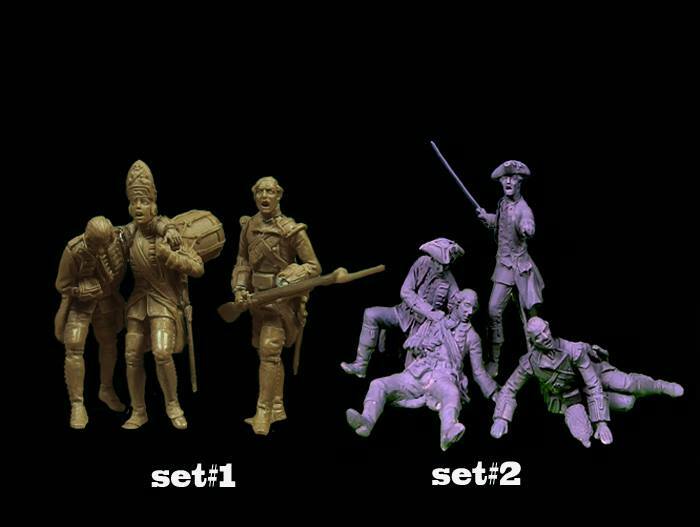 The Great Guardini has once again surpassed his sculpting standards and has created this breath taking set of figures. 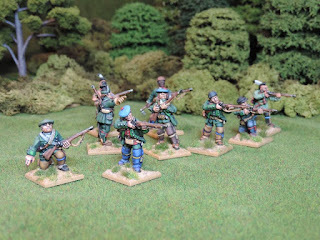 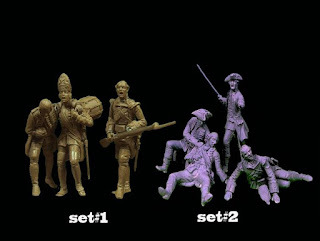 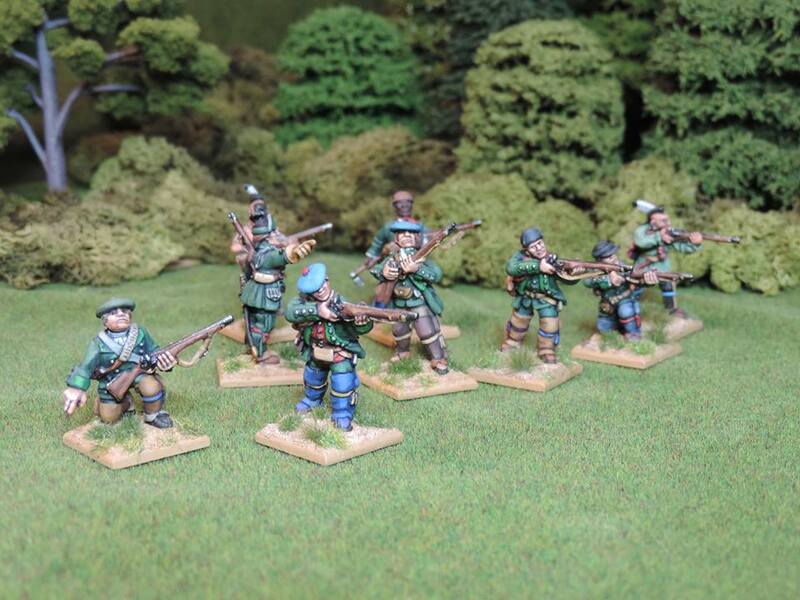 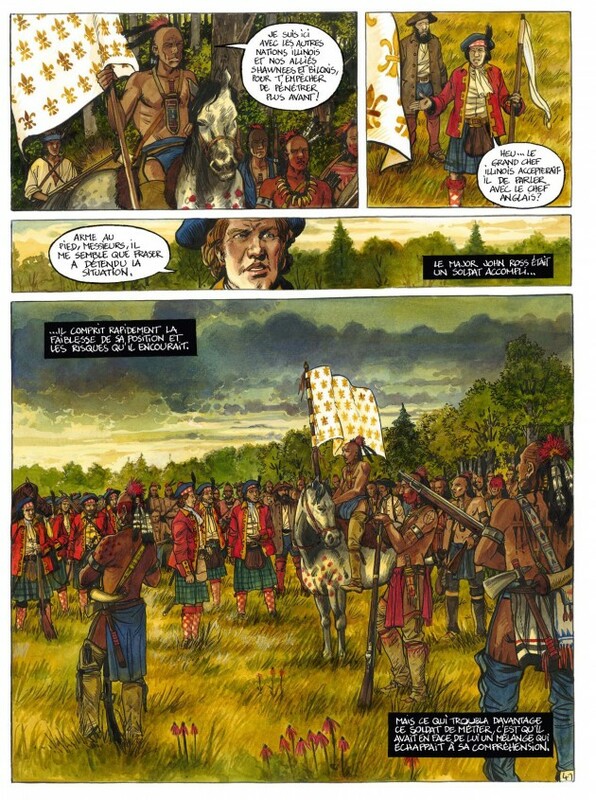 With Just these four figures alone or (even better) if combined with set#1 you will be able to create an action packed vignette depicting this military blunder occurred during the French & Indian war. 'We are deep into planning a commemoration and celebration of our town's 250th anniversary. 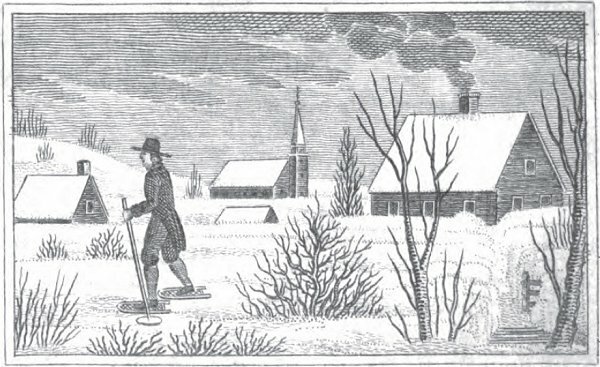 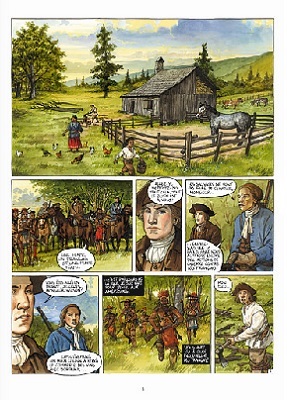 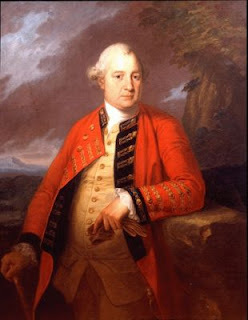 Captain Jonathan Longfellow built the first known permanent home & stockade in Deerfield, about 1744. 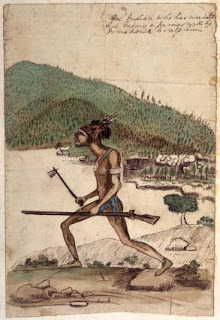 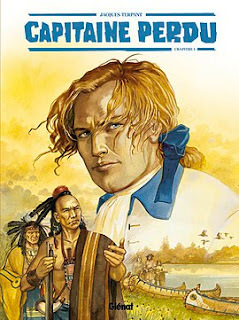 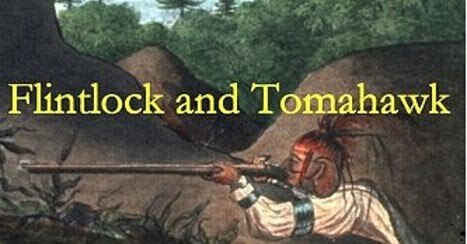 Militia were stationed there and commissioned to patrol the then frontier a good ways north and south for several years during the French and Indian War. 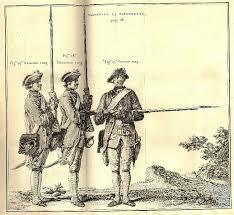 They were advanced ball and powder by the Colonial Governor to be repaid with bounties due on any scalps they took. Wild buffalo now roam east of the Mississippi for the first time since the 1830s, playing a crucial role in restoring Illinois grasslands. 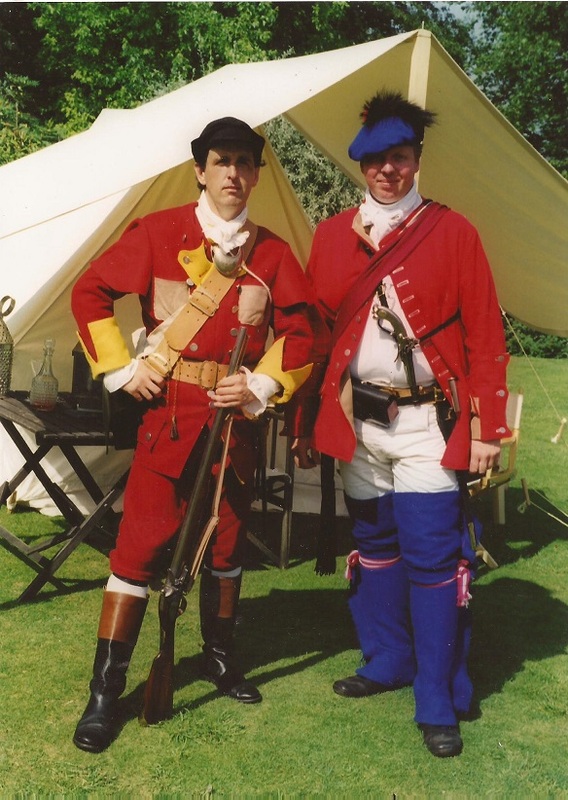 My reenactment group The Corps of Light Troops is recruiting British light infantry and Rangers. 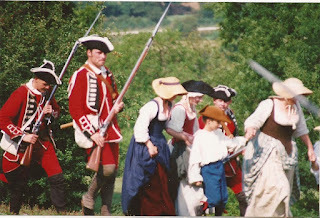 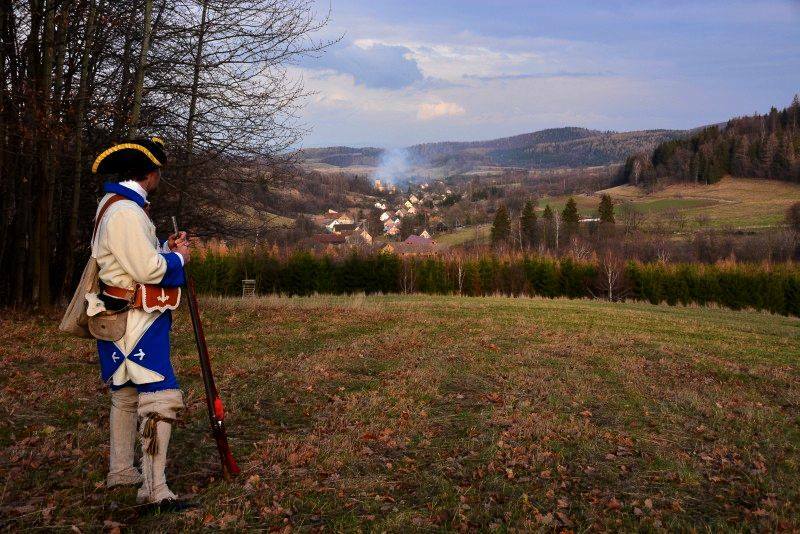 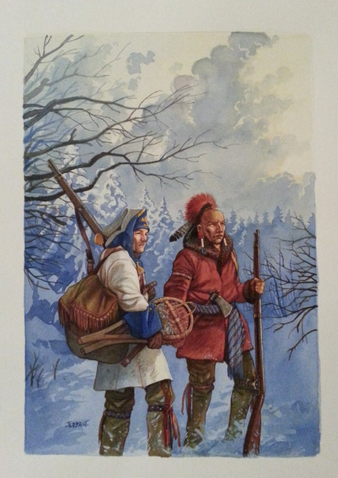 If you have ever been interested in reenacting the French and Indian War check us out. 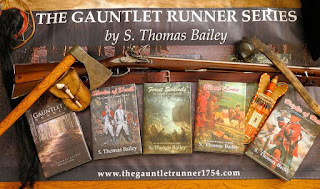 Can you help a reader with a query? What battle was the damaged type referring to? 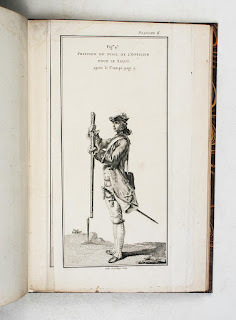 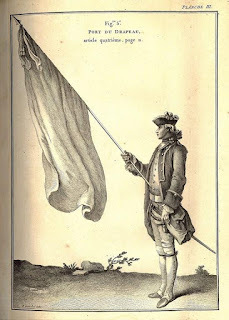 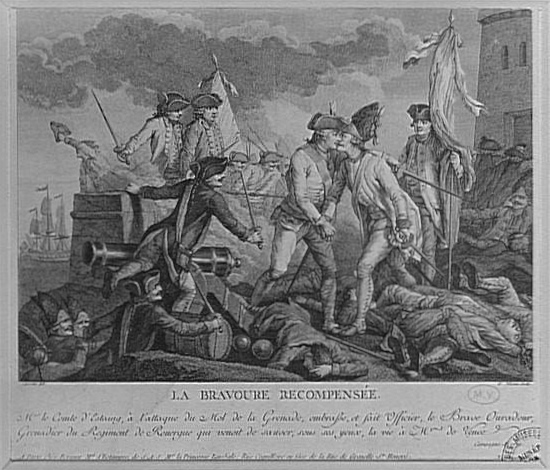 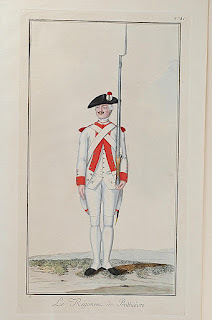 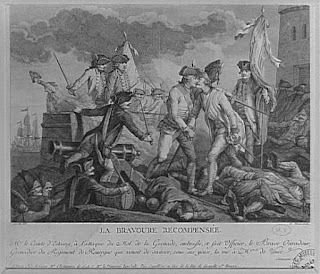 Image "La bravoure récompensée", épisode de l'attaque du Môle de la Grenade en 1779 : le comte d'Estaing fait officier le grenadier Ouradour du régiment de Rouergue qui venait de sauver la vie du Monsieur de Vence. 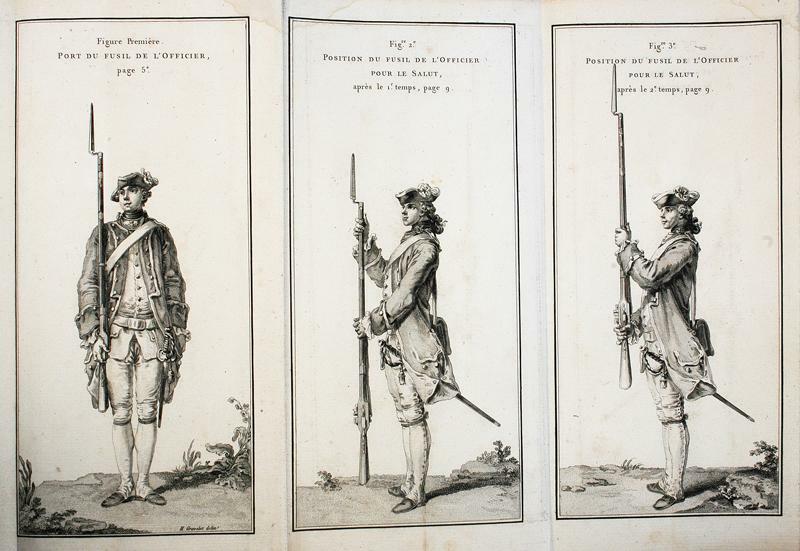 Drill from 1766. Not really useful but still interesting.